Once again, Volvo Philippines visited the Chosen Children Village Foundation, Inc. in Silang, Cavite to lend its support in aid of the rehabilitation and development of children in this home. 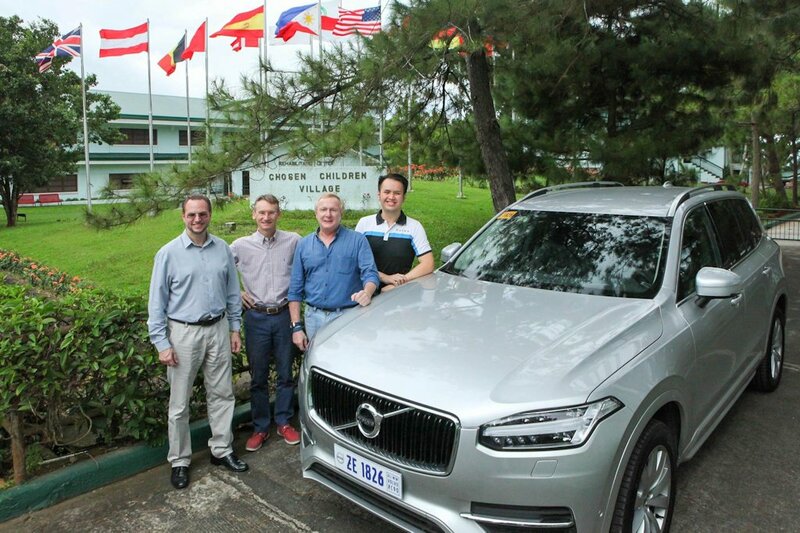 As one of the partners of the Nordic Chamber of Commerce of the Philippines (NordCham), Volvo also shared its blessings with the children through a monetary donation. Special guests, including the Ambassador of Sweden to the Philippines, Mr. Harald Fries and his wife Susan, were comfortably transported to the village onboard the new Volvo XC90. NordCham’s current President Bo Lundqvist, together with other benevolent donors, spearheaded this effort. They were there to personally endorse the proceeds from the Chamber’s Crayfish Fest. With care for people at the heart of its operations, Volvo has introduced several class-leading and world-first innovations that put emphasis on child safety in cars. With over 50 years of knowledge and expertise, Volvo brings in-car child protection leagues ahead from its competitors starting with the world’s first rear-facing child seat prototype in a PV544 back in 1964 to the latest innovation is an Inflatable Child Seat Concept that is easily tucked away in a small bag when not in use. Aside from these technological advancements, the people at Volvo Philippines has always displayed a healthy support for the youth with previous programs such as the Voice of Leadership and Child Safety Seminars aimed at not only protecting, but also educating and developing future leaders. Volvo has always been about people and this simple act of generosity is a testament to the commitment that has propelled the company to create cars that care.